We'll help you save on Desjardins Life Insurance! Desjardins Insurance – Get A Life Quote With Us! Are you thinking about getting a life insurance quote from Desjardins Insurance? Desjardins is the largest cooperative financial group in Canada and has the largest regional presence in Quebec and Ontario. The company is divided into 4 key business segments, with one being insurance. Today, the company serves more than 7 million members and clients, and employs more than 47,000 people. Originally founded in 1900, today it is ranked first in North America in Bloomberg’s World’s Strongest Banks in 2015 and is the third Most Socially Responsible financial institution according to MacLean’s. With this sort of stability and presence, Desjardins is a good option for life insurance. At ThinkInsure, our brokers can help you get a Desjardins insurance quote and save on your life insurance rates. Contact us anytime to learn more. Affordable Life Insurance Coverage : Desjardins offers affordable rates for essential life insurance products. You’ll be able to get the life insurance policy you need for your family at a price that makes sense for your budget. Exclusive Member Advantages : As a Desjardins member, you will have access to exclusive offers and advantages, including rewards and cost savings opportunities. Dependability: As one of the world’s strongest financial institutions, you can have peace of mind in knowing your investment in life insurance coverage will be there for you and your family when needed. 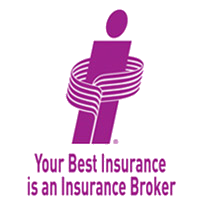 Talk to a ThinkInsure broker about your options for life insurance and other insurance needs. If you have specific life insurance questions, want to learn more about your coverage options, or want to compare life insurance quotes, our brokers can help! Interested in further exploring your options for Desjardins life insurance? Want to get a quote? Contact our expert life insurance brokers today, and we will help you compare life insurance quotes, discuss your options and help you choose a life insurance policy that meets your needs. Call 1-855-550-5515 anytime!